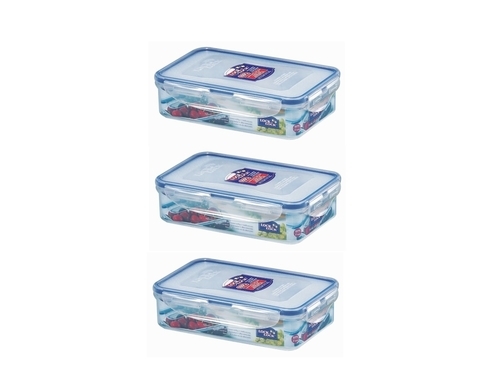 Set consists of 2 pc 1L and 1 pc 800ml divided plastic containers with lids. Ideal for storing and freezing raw, fresh and frozen food. Leak-proof, durable, stackable and BPA free. Freezer, refrigerator, microwave (without lid) and dishwasher safe.